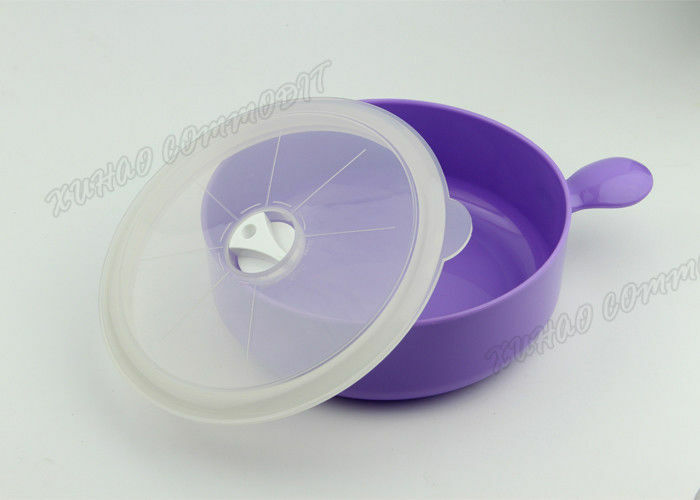 colorful deluxe microwave to freezer bowls. Microwave and Freezer safe. Handle never gets too hot. Set includes coordinating covers with adjustable air hole lids. Adjust air holes to open to allow for hot air to vent out when microwaving, but when you are using in the refrigerator or freezer as storage you can close the air vents to keep food fresh longer. Withstands temperatures from -4 Fahrenheit (-20 Celsius) - 248 Fahrenheit (120 Celsius). Made of dish washer safe plastic. Easy to store and light weight for travel. Q: ​Do you provide OEM service? We hope to put our logo on the product. A: ​Of course, We are professional OEM supplier, the logo printing is no problem for us, also, the product color could also be according to your requirements. Q: ​How about making our own design? Do you have an interst? A: ​To the honest, We could get sereval ODM projects from customers per year. SMD has many long-term mold partners in China, as it has been more than 5 years in this market, so, our team could well handle ODM projects for customers.